General Practitioners and Social Workers in Sydney’s northern suburbs are collaborating to improve people’s daily lives through an innovative and free program. Nothing illustrates the results of this collaboration more than Northern Sydney resident, Teresa Caruso’s turnaround. Teresa, a 62-year-old mother of two and grandmother of three, couldn’t get off her couch. Outside her home, the local community was largely unaware of Teresa’s difficulties. As Teresa’s health declined, she decided to reach out to her General Practitioner (GP). 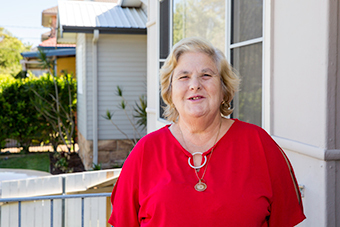 Besides attending to Teresa’s immediate medical needs, the GP recommended a more integrated approach to Teresa’s care, referring her to the “GP Social Work Connect Program”. In Teresa’s case the organisation delivering this program is Primary & Community Care Services (PCCS), a not-for-profit local health organisation. The need for this program was identified and commissioned by the Sydney North Health Network on behalf of the Australian Government.